I work on sustainability and have for close to 15 years, and even I feel worried about where we are headed. Sure, there are good initiatives but it feels like they get stuck in the quagmire of politics while big biz is zooming ahead. I don’t like to give up hope and I certainly don’t like to think there is nothing we can do. So I made a list of 7 projects we can all do now and without seeking permission somewhere. This is not a list of what to recycle, nor am I going to tell you to change to LED bulbs. You should but that’s not all there is to saving the world. And I think you know that, that’s why your so frustrated that your compost, LED bulbs and string bag don’t seem to be turning things around. What can I do – BIG thing – that will really make a difference? 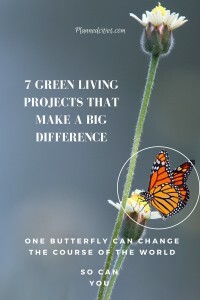 Here are 7 projects compared with the big problems that are all laid out, easy peasy, for you to sink your teeth into – Without needing to drop out of society or change your life. Sign up below to get my free email course that will show you which projects to focus on if you want to change big things in the next decade before it is too late. The Sustainability Leap Scale to quickly measure solutions against the biggest problems, so you can harness your energy to make a powerful impact. Four different approaches for each of the 7 projects so you will quickly find the right fit for your skills and resources. WARNING: You may find the inspiration for your next career move in the direction of market ready green living projects. I’ve done all the work for you, now I just need to spread the word. Have you got 5 minutes to help make the change we all want to see? “I love it! This is not just a quick fix. I like how much substance is in there. You’ve been in the game, you’re experienced, you know how to get things done and you’ve put together a substantial offering.” – Jennifer R.
“Ooh, this is fantastic! I totally agree with your sentiment: a lot of us want to help and “do our bit” but it only seems to be a bit and then things like Trump happen and we just put our heads in our hands. Loving it and feeling inspired.” – Fiona C.
“Love this one. Sam is a carpenter and we are always talking about what we’ll do when we build our own house. Hadn’t thought about the fact that it increases the property’s value. This aspect makes it even more appealing!” – Chrystal L.
I’m Emily, and I help you create sustainability-driven projects so that you can make a bigger impact in this world while having fun and making money. I’ve spent close to 15 years working in the environment and sustainability industry on infrastructure, planning and renewable energy projects. 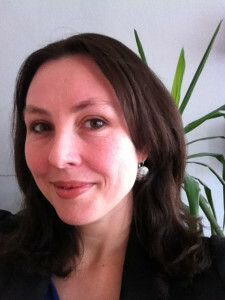 I’ve worked with engineering companies and entrepreneurs helping turn sustainability ideas into products and businesses. I’ve helped connect over 80,000 homes in Africa to solar energy and helped save 1000s of tonnes of CO2 emissions while contributing to multi-million dollar successful enterprises.